Windows Internals 5th Edition by Mark Russinovich, David Solomon, Alex Ionescu. Introducing Windows 7 for Developers* by Kiariaty, Moroney, Goldstein, Fliess. Concurrent Programming on Windows by Joe Duffy. Windows via C/C++ 5th Edition by Jeffrey Richter and Christophe Nasarre :^). Writing Secure Code for Windows Vista by Michael Howard and David LeBlanc. Windows Internals 4th Edition by Mark Russinovich and David Solomon. Writing Secure Code, 2nd Edition by Michael Howard and David LeBlanc. Programming Windows Security by Keith Brown. Programming Server-Side Applications for Microsoft Windows 2000 by Jeffrey Richter and Jason D. Clark. Programming Applications for Microsoft Windows by Jeffrey Richter. System Programming for Windows 95 by Walter Oney. 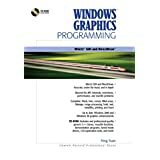 Windows Graphics Programming: Win32 GDI and DirectDraw by Feng Yuan. Inside Windows 2000, 3rd Edition by David Solomon and Mark Russinovich. Undocumented Windows 2000 Secrets: A Programmer’s Cookbook by Sven Schreiber. Windows NT/2000 Native API Reference by Gary Nebbett. Windows Shell Programming by Scott Seely. Developing Windows NT Device Drivers: A Programmer’s Handbook by Edward N. Dekker and Joseph M. Newcomer. Undocumented Windows NT by Prasad Dabak, Sandeep Phadke and Milind Borate . Win32 Multithreaded Programming by Aaron Cohen, Mike Woodring and Ronald Petrusha. Visual C++ Windows Shell Programming by Dino Esposito. Thanks for your help on this topic Dino when there was almost no documentation! Beginning Windows NT Programming* by Julian Templeman. Professional NT Services by Kevin Miller. Windows NT Device Driver Development by Peter Viscarola. Win32 System Programming by Johnson M. Hart. Advanced Windows 3rd Edition by Jeffrey Richter. Inside Windows NT by Custer and David Solomon. Windows NT Device Driver Development by Peter Viscarola and Anthony Mason. Windows 95 Developers Guide by Jeffrey Richter and Jonathan Locke. UNAUTHORIZED Windows 95 Developer’s Resource Kit by Andrew Schulman. Windows 95 System Programming Secrets by Matt Pietrek. Programmer’s Guide to Microsoft Windows 95 by Microsoft Press. Advanced Windows: The Developer’s Guide to the Win32 API for Windows NT 3.5 and Windows 95 by Jeffrey Richter. Advanced Windows NT: The Developer’s Guide to the Win32 Application Programming Interface by Jeffrey Richter. Windows Internals: The Implementation of the Windows Operating Environment by Matt Pietrek. Undocumented Windows: A Programmers Guide to Reserved Microsoft Windows Api Functions by AUTHORS. Windows 3: A Developer’s Guide by Jeffrey M. Richter. Programming Windows 3.1 3rd Edition by Charles Petzold. * means that I’ve been a technical reviewer for the book. Where I can found this one: Windows Internals: The Implementation of the Windows Operating Environment ?